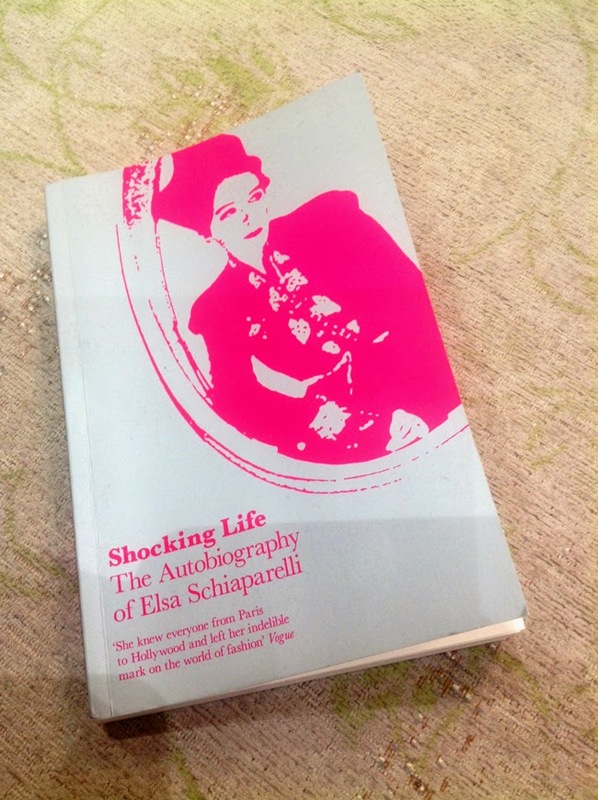 Has anyone else read "Shocking Life" - The V&A published autobiography by Elsa Schiaparelli? Elsa, or "Schiap" as she calls herself, was an Italian fashion designer in my favourite design era - the 1920s and 30s - and although her name is less known than her contemporaries like Coco Chanel and Madeleine Vionnet, Schiap had a real impact on both the fashion of the time and today, being one of the forerunners for things like visible zippers, the wrap dress, tennis shorts, and this shade: "shocking pink"
I got a few pages into the book and had to put it down to pull out this almost neon pink fabric I purchased well over 5 years ago and never did anything with. I went with that simple silhouette I love and return to again and again, but this time with bracelet length sleeves and a slightly flouncier and more playful skirt, with a light pink satin panel at the bottom. Schiap's story is a real engrossing read, and despite her success she had more than her fair share of sadness and knock backs in life. Unbelievably she had no formal training in fashion and practically fell into design through a mixture of her social circle, luck, talent and sheer industriousness. "Dress designing...is a most difficult and unsatisfying art, because as soon as a dress is born it has already become a thing of the past. As often as not too many elements are required to allow one to realize the actual vision one had in mind. The interpretation of a dress, the means of making it, and the surprising way in which some materials react - all these factors, no matter how good an interpreter you have, invariably reserve a light if not bitter disappointment for you....A dress cannot just hang like a painting on the wall, or like a book remain intact and live a long and sheltered life...[it can become] an indifferent object, or even a pitiful caricature of what you wanted it to be - a dream, an expression." On that note, please read Schiap's book. And - happy sewing! This is beautiful, and such a gorgeous colour. Sounds like an interesting book. Thanks for sharing! I love how you did the color blocking! Such a beautiful dress. I love your dress - it's just gorgeous. Love the way you've used the two fabrics. I love that shape on you! and that color is simply fabulous. Thanks for the recommendation- I've got to read this! The dress is absolutely beautiful! 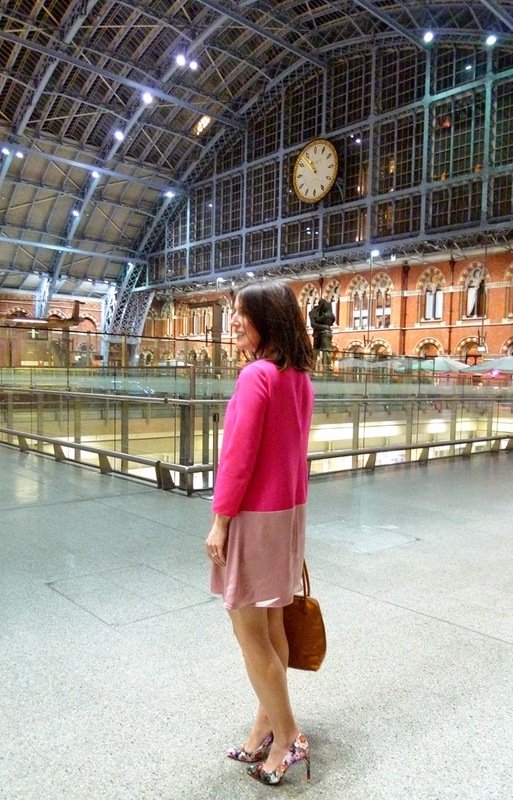 I love the pink on you!